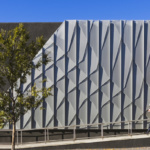 UAP may not be a household name, but the firm is behind the scenes of many of the biggest projects in public art and architecture. 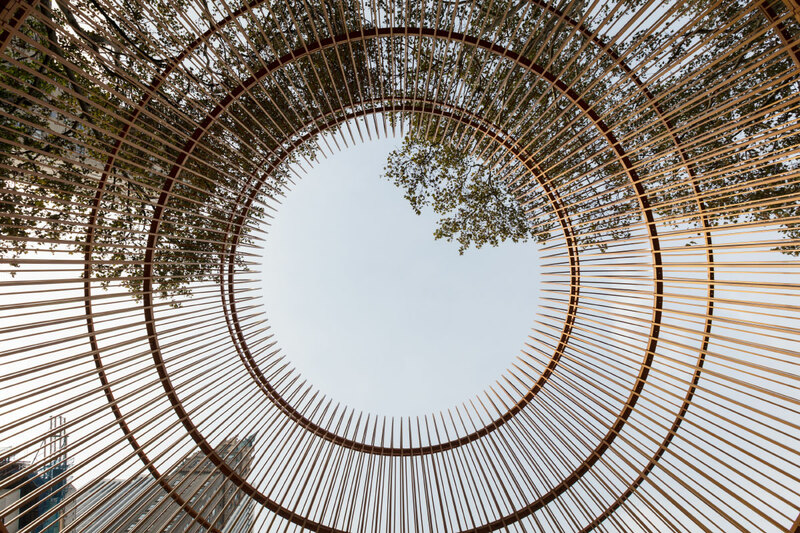 With studios in Brisbane, Shanghai, and New York, UAP works with world-renowned artists and architects like Ai Weiwei, Carsten Höller, and Frank Gehry on highly complicated sculptures and architectural features. Most recently, it manufactured Phillip K. Smith III’s Open Sky with clothing brand COS for Salone del Mobile in Milan. UAP is also overseeing a number of projects in the Hudson Yards mega-development. Started in 1993 by brothers Daniel and Matthew Tobin in Australia, UAP collaborates with artists, architects, developers, and governments to plan and fabricate large-scale projects. However, at their core the Tobins are committed to protecting artists’ voices and maintaining conceptual integrity—dealing with tight deadlines, engineering challenges, and logistical complexities to deliver the creator’s vision in full. In this way, they function as an extension of the artist’s studio, allowing artists to step back from management and go back to doing what they do best: making art. 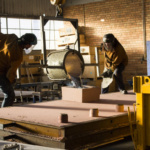 UAP is organized into three sectors: UAP Studio, which produces site-specific artworks and offers curatorial oversight and public art strategy; UAP Factory, which works alongside architects on building projects; and UAP Supply, which offers limited-edition and custom furnishings. While UAP’s business includes working with artists to make their visions materialize, the firm also works with developers and governments to curate and consult on the how, where, and who behind public art. Recently, it has been going even bigger and helping develop master plans and long-term public art strategy for clients such as the Queen’s Wharf in Brisbane. 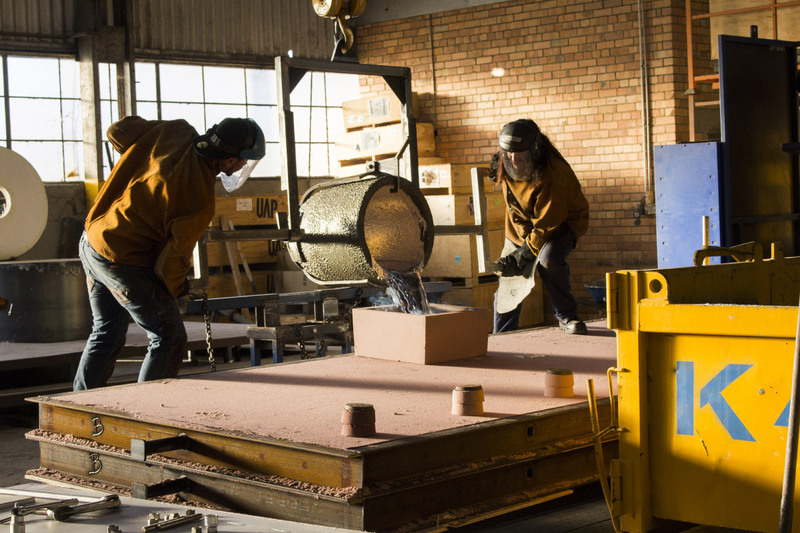 Although handwork, traditional CNC, and cutting-edge fabrication techniques are integral to the practice, UAP is constantly looking for new ways to utilize technology. The team has been introducing virtual reality into its design process and collaborating with manufacturing researchers at Innovative Manufacturing CRC, Queensland University of Technology, and RMIT University to experiment with new robotic manufacturing systems that present a range of new possibilities. 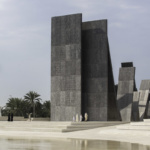 With his artist pedigree, founder Daniel has designed monumental projects, including the 197-foot-tall concrete tower Al Fanar (Beacon) in Saudi Arabia (with bureau^proberts) and a National AIDS Monument with the West Hollywood Foundation, to be completed in 2019. It’s this creative sensibility that’s central to UAP. It can help artists because they themselves are no mere fabricators; they’re partners in the creative process with an intimate knowledge of production and a deep investment in creative expression. 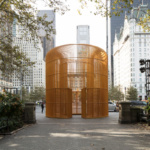 This past winter’s blockbuster five-borough public exhibition from Ai Weiwei, Good Fences Make Good Neighbors, showcased the work of UAP in one of its most memorable sculptures: the 40-foot mirrored cage underneath the Washington Square Arch. 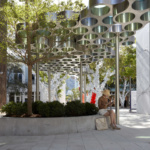 Made in collaboration with the Public Art Fund, the arch sculpture was one of two that UAP completed for Ai’s project. 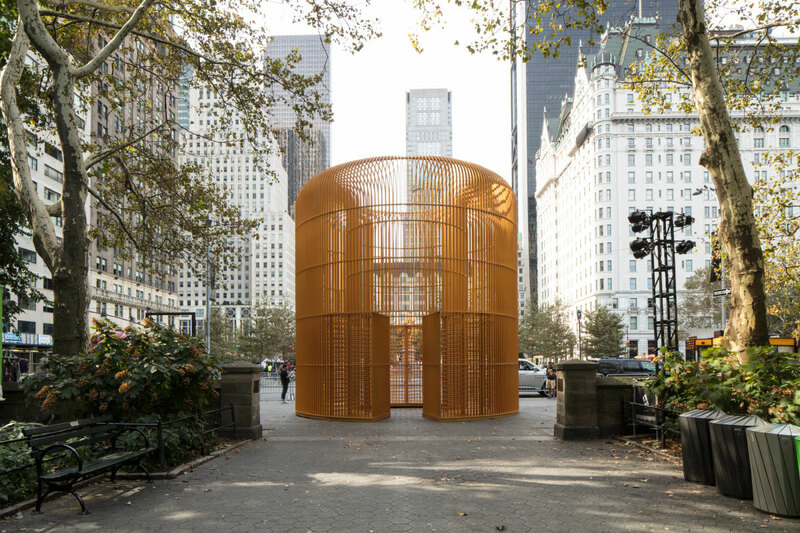 The subject of many photographs, the sculpture approached serious topics with levity—juxtaposing a passage with a cage, it troubled the constructed notion of borders and highlighted the different ways they restrict, regulate, and permit the movement of differentiated bodies. 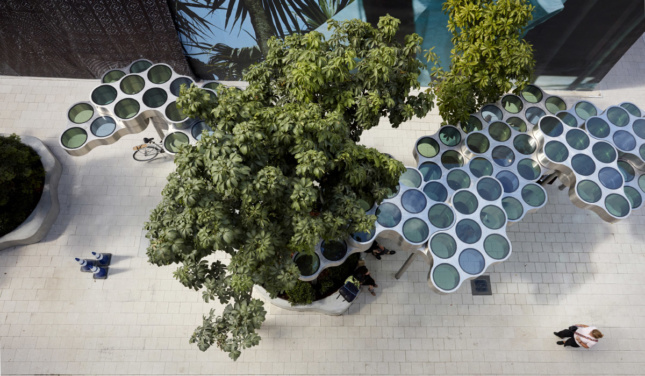 Working with renowned designers (and another fraternal pair) Ronan and Erwan Bouroullec, UAP oversaw the construction of a series of metal and glass canopies in Miami’s design district. 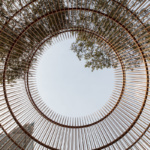 Called Nuage, promenade, the pergola is designed to engage with not only the surrounding built environment of Paseo Ponti, but also the natural environment, as native plants will slowly grow around the blue and green structure. 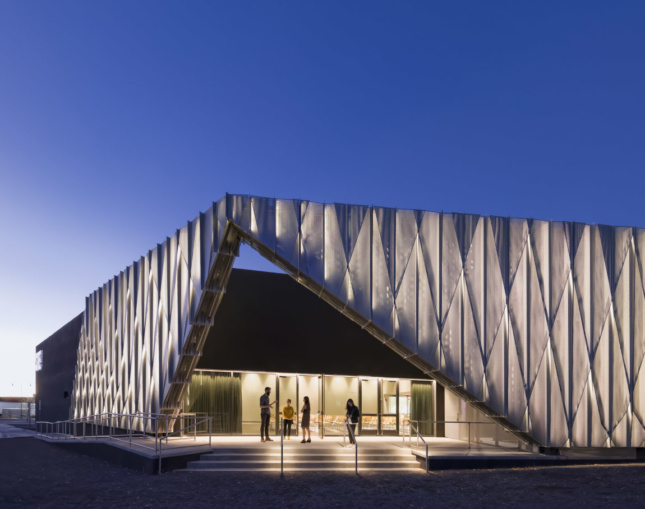 UAP worked on every step of the process, from design to fabrication to installation, for an external cladding system for a SHoP Architects expansion to the New Mexico contemporary art space SITE Santa Fe. 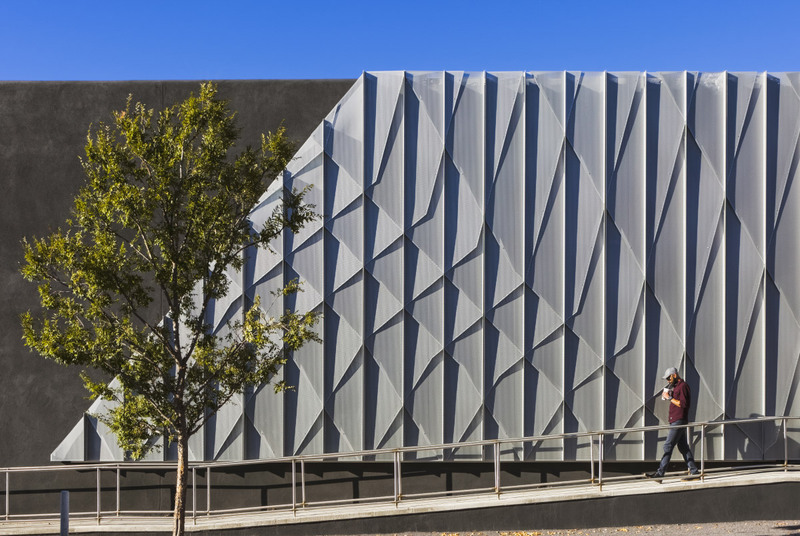 The layers of folded and perforated aluminum cladding for the two entrances help to unify the extension as a whole and mesh it with the museum and the public space. UAP also worked with SHoP on the interiors of the American Copper Buildings in Manhattan. 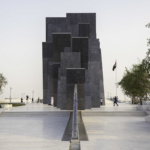 In 2016, UAP worked with British artist Idris Khan to realize the massive memorial park Wahat Al Karama in Abu Dhabi, UAE. 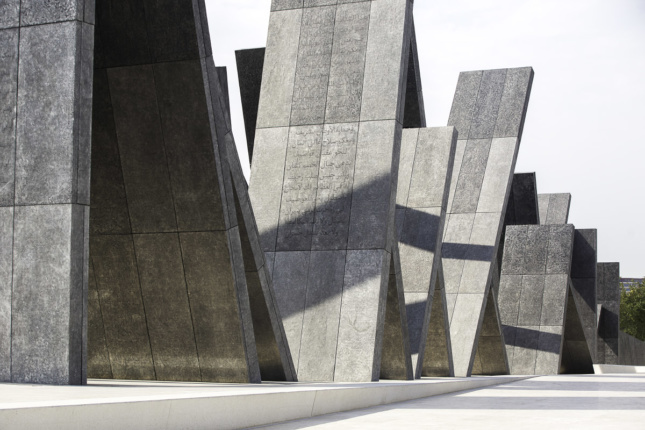 The central monument comprises 31 leaning tablets made of aluminum plates recycled from decommissioned armored vehicles. 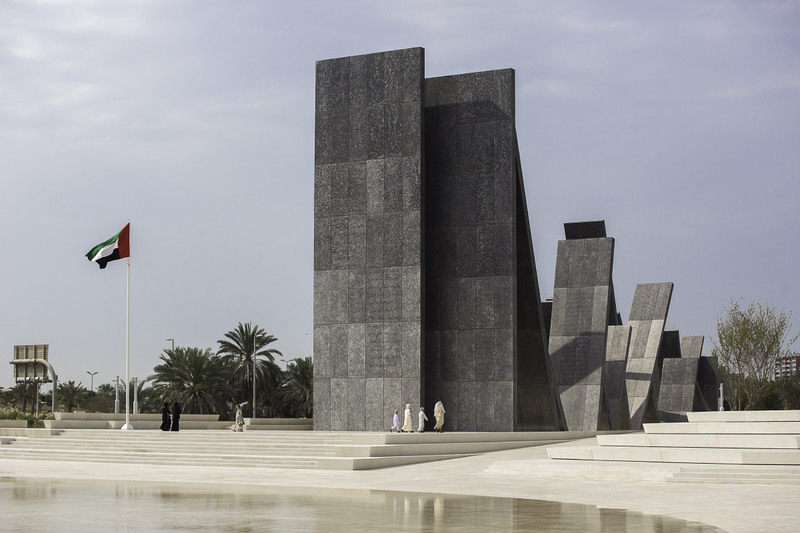 The tablets are inscribed with the names of service members and poems and quotes from Sheikh Zayed bin Sultan Al Nahyan and Sheikh Mohammed bin Zayed Al Nahyan. At one end of the park is the Pavilion of Honor, completed with bureau^proberts. 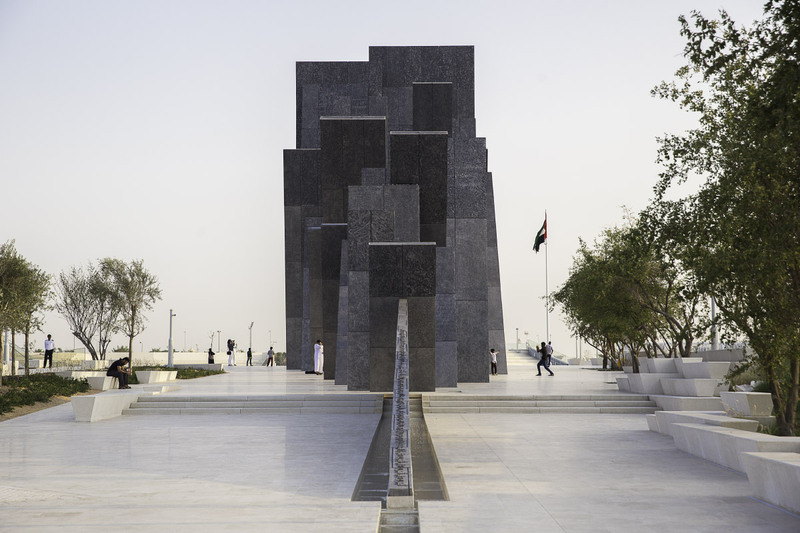 Made of 2,800 aluminum panels encircling seven glass panels by Khan, the meditative space is a quiet interior pause that complements the monolithic structure outside.